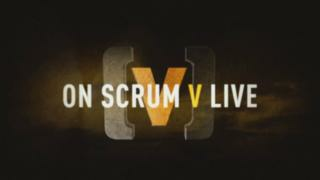 Scrum V shows how close to the action the cameras will be at times in the coming Pro12 season. Glasgow will defend their crown as Welsh teams Ospreys, Scarlets, Cardiff Blues and Newport Gwent Dragons aim to make their mark. Watch out for the live action and highlights on Scrum V on BBC Wales television and radio throughout the campaign. The cameras' first visit will be to Belfast on Friday, 4 September when Ulster host Ospreys in a 19:35 BST kick-off.